Earlier this year, the bison was named our national mammal, but due to a conflict with Western ranchers, the beasts are anything but wild and free. Stephens Creek, Wyoming: Yellowstone National Park biologist Doug Blanton takes a blood sample from a bison for brucellosis testing. One morning, years ago, while camped at the western edge of Yellowstone National Park, I awoke to a rich wild-animal stench. A smell of upturned earth and wet fur filled the air, and in my half-sleep I perceived what seemed to be a wall blocking the sky that hadn’t been there when I’d gone to bed. Unzipping the tent, I was stunned to see 1,500 pounds of towering, living flesh: an adult bison, no more than three feet from my nose, gently ignoring me as it nibbled on the grass, its great god-like head dreadlocked with mud and swaying softly as it ate. And at the sight of the creature I found myself frightened and awed and full of love and respect and a desire to talk. Then I became aware of a low grunting and snorting in the quiet of the forest, and the sound of many mouths chewing, many hooves pawing and prodding and moving about. 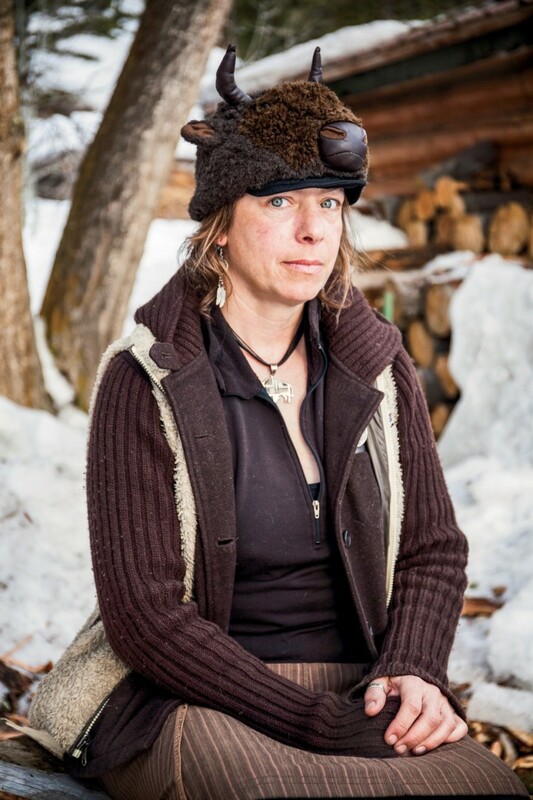 Stephany Seay, bison advocate and media coordinator for the Buffalo Field Campaign, a non-profit public-interest group that works to stop the slaughter of the Yellowstone bison and protect their habitat both within and beyond the park. It was springtime, when the bison migrate to calving grounds, and a herd had surrounded my tent. But it moved on quickly, and when the animals had passed beyond the narrow view afforded by the tent door, I stumbled half-naked into the light and followed them to the edge of the Madison River, which they forded in a kind of snorting conga line. 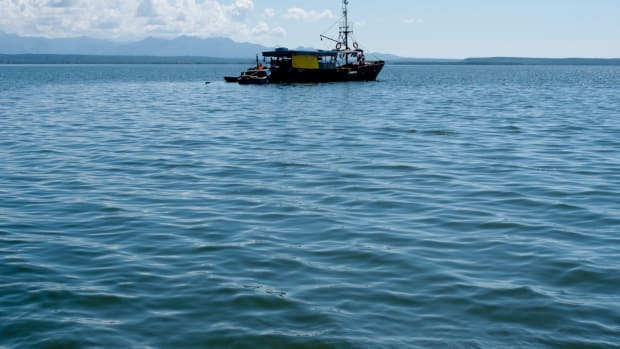 There were 50 or so, mothers and bulls and calves, and there was power and grace and terribleness in their crossing of the water. The Yellowstone bison population — consisting of around 4,900 animals — is an extraordinary example of the preservation of a species that might have been lost. In the 19th century, as the white man descended on the West with his rifles and railroads and shrewd business sense, tens of millions of bison were slaughtered for the sale of skins and meat back East. A more sinister motivator than greed was also at work: the goal of crushing the rebellious Plains Indians by removing their supply of food. The slaughter of the bison, called, colloquially, the buffalo, ranks as one of the largest and most rapid losses of biomass at the hand of man in modern history. A few stragglers survived. Their descendants — those that have been continuously living in the wild, the only genetically pure and free-roaming bison today — are the ones living in Yellowstone. 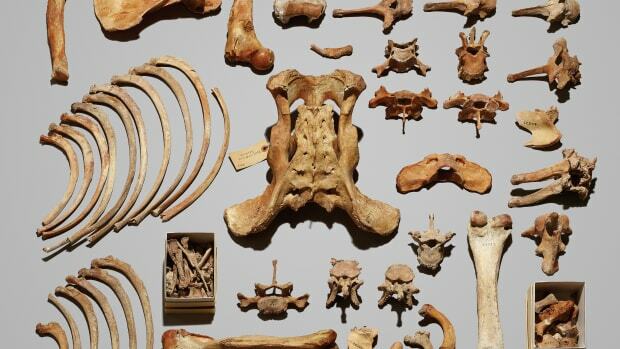 This is a fraction of the estimated 30 to 60 million bison that once roamed North America. The wild bison is ecologically extinct throughout its former range. There are, of course, hundreds of thousands of buffalo in this country stuck behind fences, domesticated for meat production, often adulterated with cattle genes through interbreeding. They are not true bison. They do not roam; they are not free. 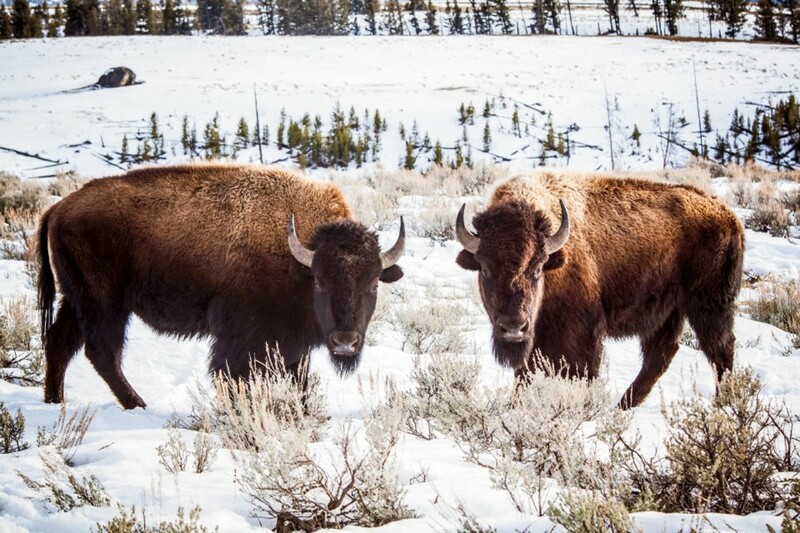 A pair of Yellowstone bison in the park in winter. In heavy snow years, bison migrate out of the park to find winter forage at lower elevations, where ranchers fear they may make contact with cattle and infect them with brucellosis. In May 2016, President Barack Obama signed into law the National Bison Legacy Act, which declares the species Bison bison to be our national mammal, the ambassador of the wild American West. This may mean something to the American people, but it is meaningless to the bison. The irony is that the legislation does nothing to protect the Yellowstone buffalo, the most iconic herd of wild ungulates in the nation. And make no mistake, it is a herd under assault. Another iconic figure of the West, the cowboy, has organized a regime of persecution against the Yellowstone bison, and the National Park Service, under pressure from the politically powerful cattle industry, has implemented it. Stockmen who graze their cows on public lands adjacent to the park claim that bison carry a disease that threatens the health of their cattle. There is no scientific basis for this claim. 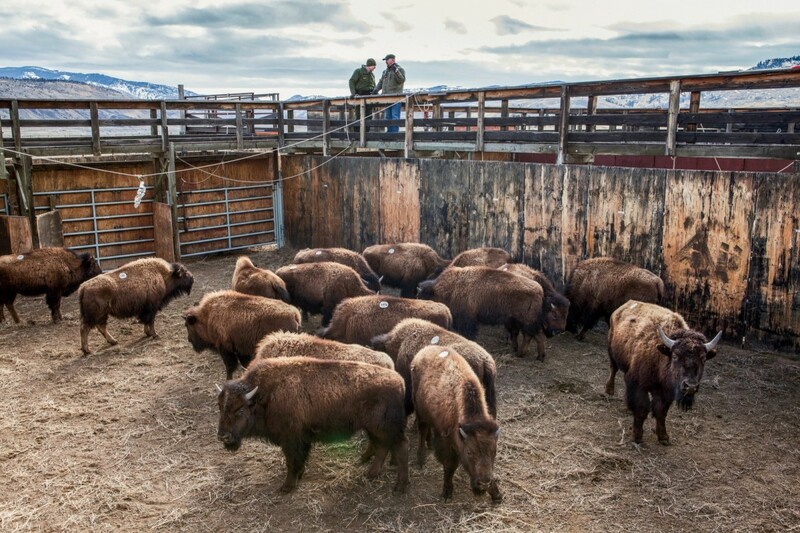 There is not a single documented case of the disease, brucellosis, being transferred from wild bison to cows. 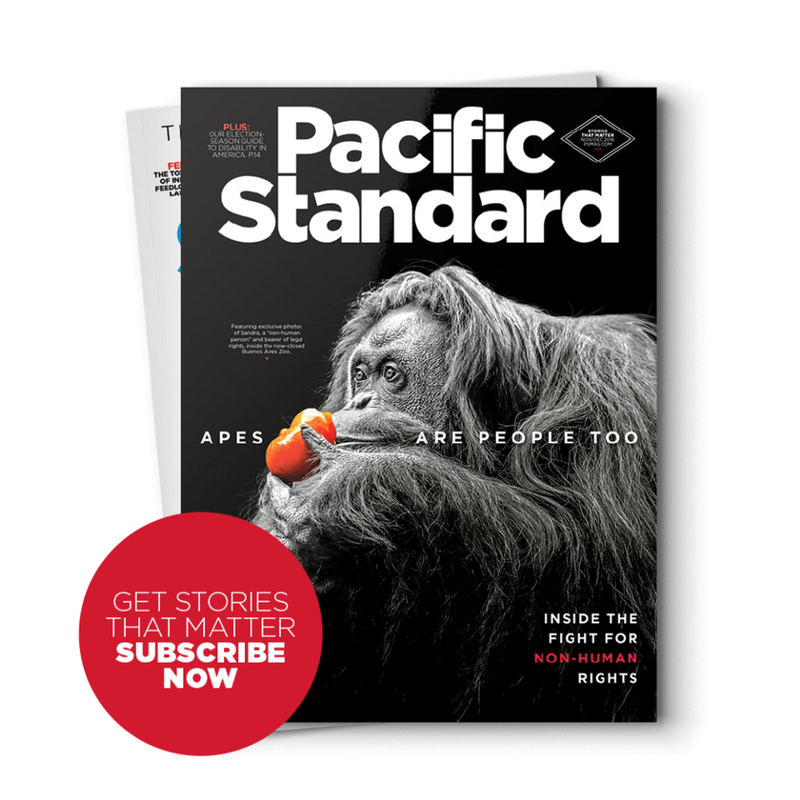 A version of this story first appeared in theNovember/December 2016 issue of Pacific Standard. Buy this issue now. Nevertheless, the fate of our national mammal is being decided by ranchers who seem to think bison are the enemy, science be damned. As a result of a lawsuit led against the Park Service in the 1990s by the Montana Department of Livestock, the Interagency Bison Management Plan was created to facilitate cooperative decision-making among stakeholders, which today include the Park Service, several Montana state agencies, and three tribal entities — but the bison have no voice. 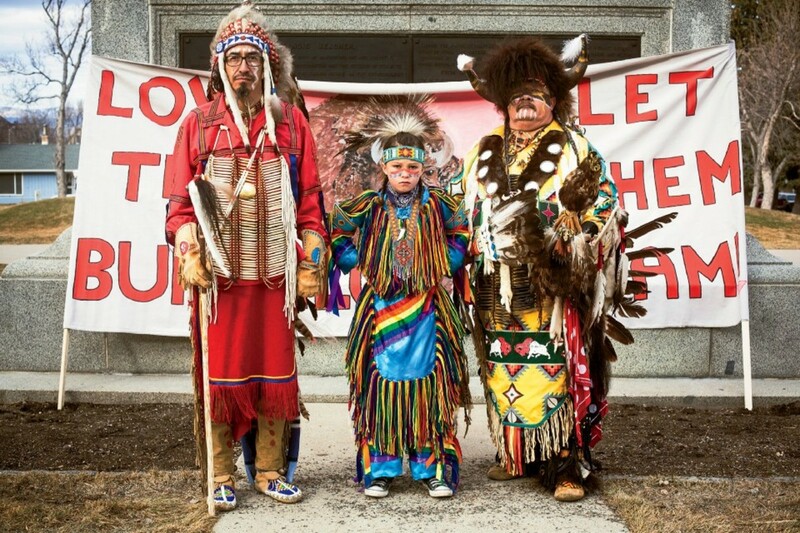 Under the IBMP, bison that roam outside the Yellowstone park boundaries face a multitude of abuses. 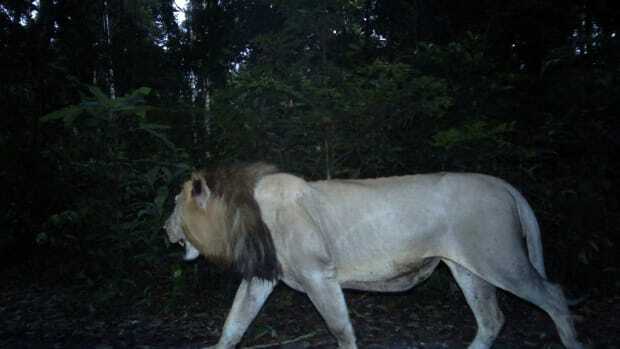 Some are harassed back into the park by men on horseback, in pick-up trucks, and even in helicopters. Some are captured, quarantined, and tested for brucellosis. Some are sent to slaughter, whether they have the disease or not. Since the animals are not supposed to roam beyond park boundaries, the National Park Service, along with other IBMP agencies, must cull (read: kill) a percentage of the herd annually — in recent years, it’s been about 20 percent — to keep the population within what they claim is the park’s carrying capacity. While people across the country were busy celebrating the 100th anniversary of the national parks this year, our national mammal was being demonized, brutalized, and effectively caged in what amounts to a Yellowstone National Zoo. If this is the sum of respect for our nation’s great symbols, then I say killing wild bison is no different than burning an American flag. Bison at the edge of Highway 191, which runs along the western border of Yellowstone National Park. 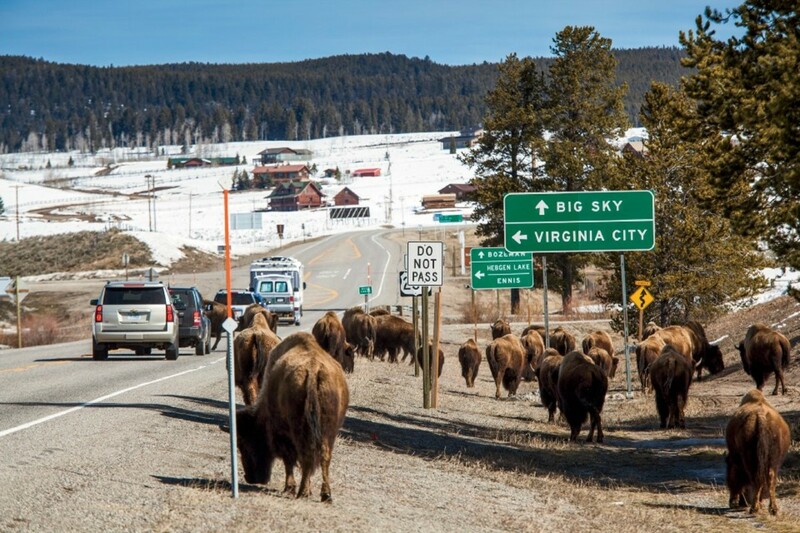 Numerous bison are killed every year by vehicles on this highway, which interrupts their migration route to spring calving grounds. Sometimes Park Service employees, along with Montana Department of Livestock and Montana fish and game officers, will haze the animals back inside park boundaries. 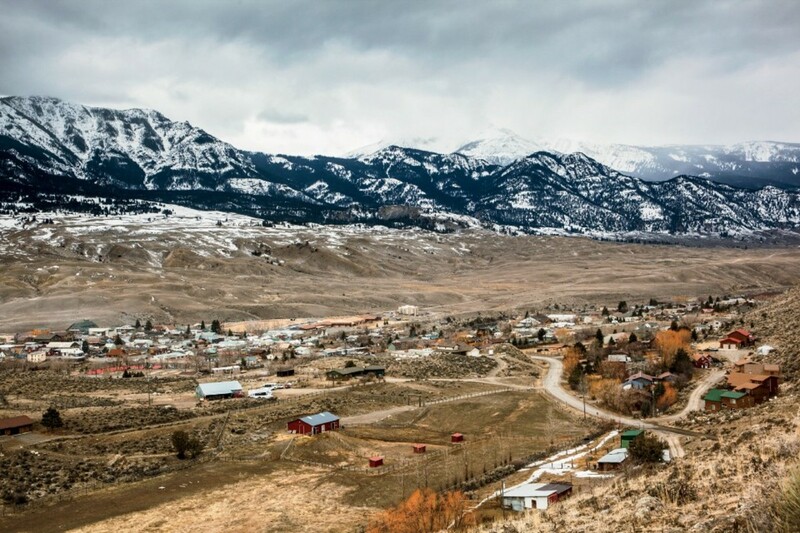 The town of Gardiner, Montana, at the northern entrance to Yellowstone. 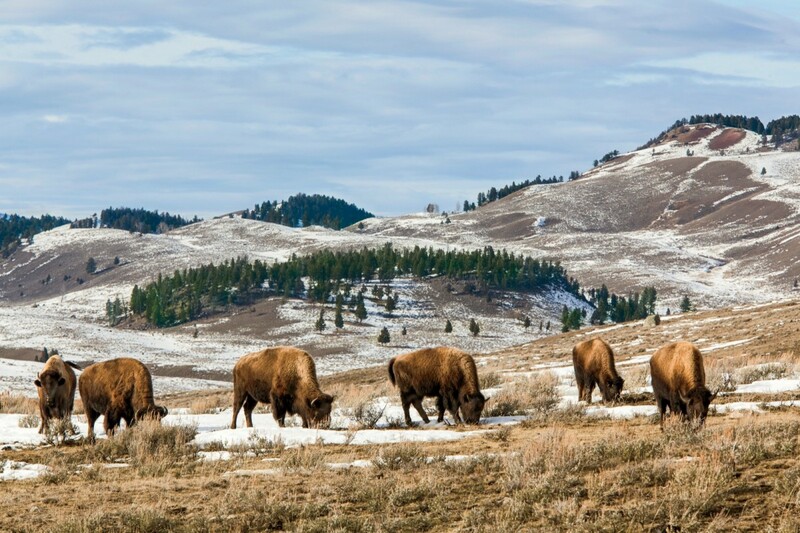 In the winter and spring, it is common to see bison all around Gardiner, where they are subject to being shot by ranchers, or by members of native tribes, who are, by treaty rights, the only people legally allowed to hunt bison as they leave the park. 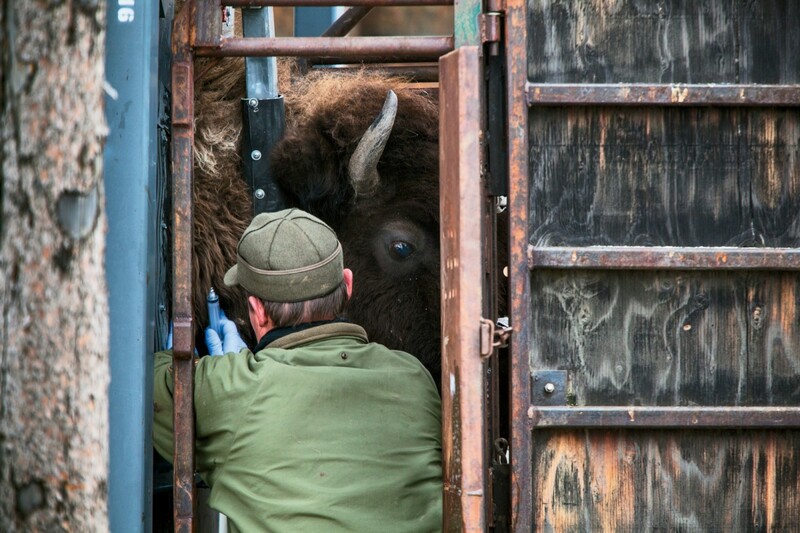 Bison await shipment to slaughter after being processed and tested for brucellosis by Park Service employees at the Stephens Creek facility, located at the northern edge of Yellowstone National Park. 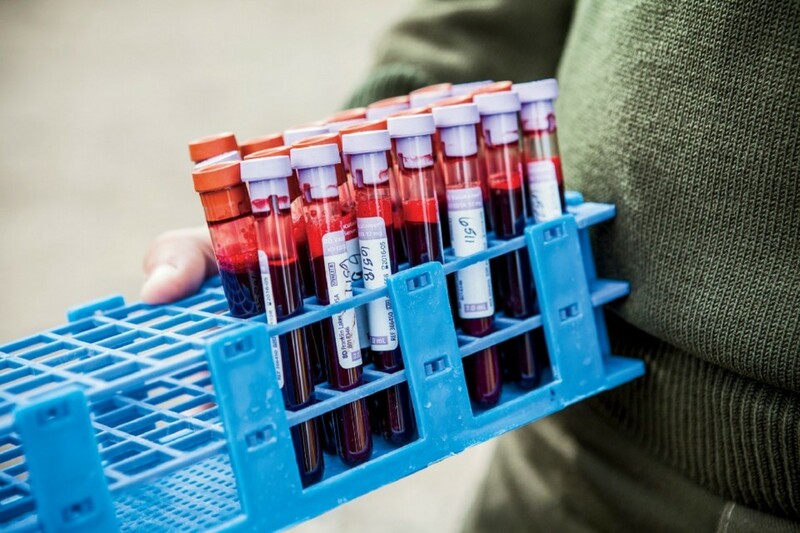 Bison-blood samples taken by Yellowstone park biologists for brucellosis testing. Brucellosis causes cows to abort, and bison are being blamed for spreading the disease among cattle, even though there has never been a recorded case of transmission from wild bison to cows. 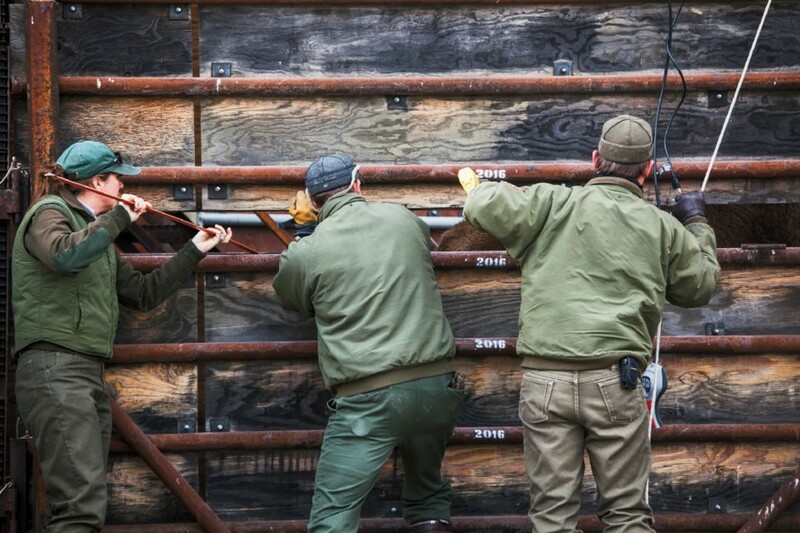 Angie Stewart (left) and Doug Blanton (right), Yellowstone park biologists, and Kevin Dooley, a park ranger, use prods to force bison toward a trailer for transport to a slaughter facility. 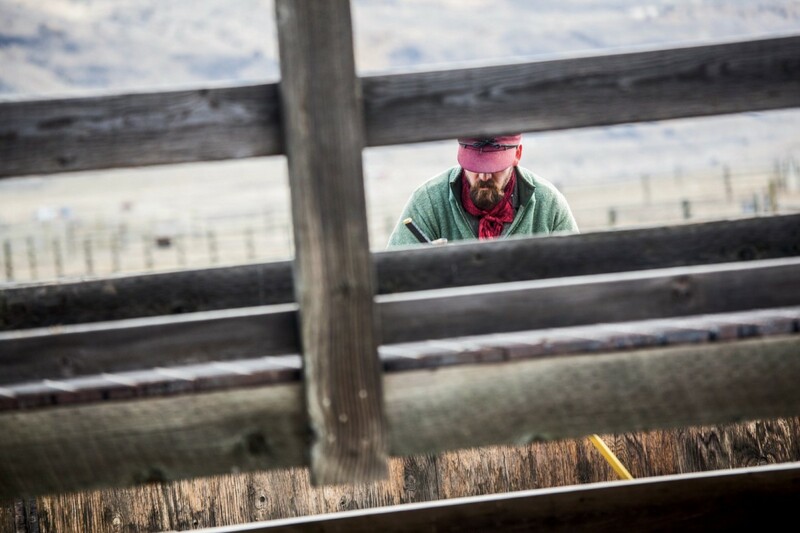 A Yellowstone ranger at the Stephens Creek facility prods bison into a series of chutes for processing and testing. 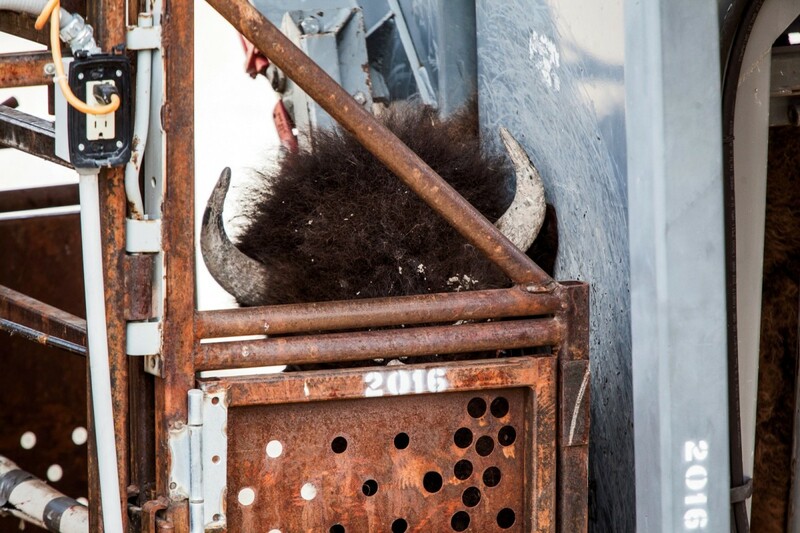 A bison in the squeeze chute at Stephens Creek, where the animal will be weighed and have blood drawn. The testing can only confirm brucellosis exposure, not infection. Some animals may test positive because of the presence of antibodies, an indication that they are developing resistance to the disease. 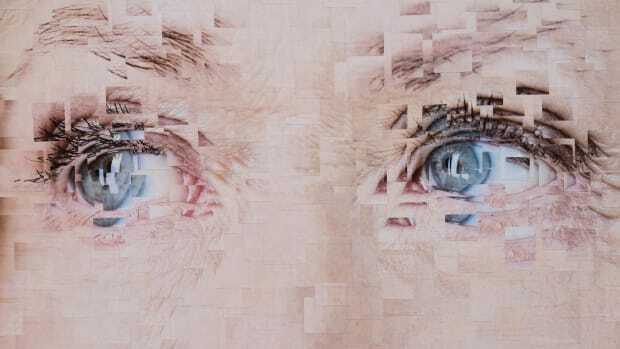 Culture profoundly shapes our ideas about mental illness, which is something psychologist Nev Jones knows all too well. 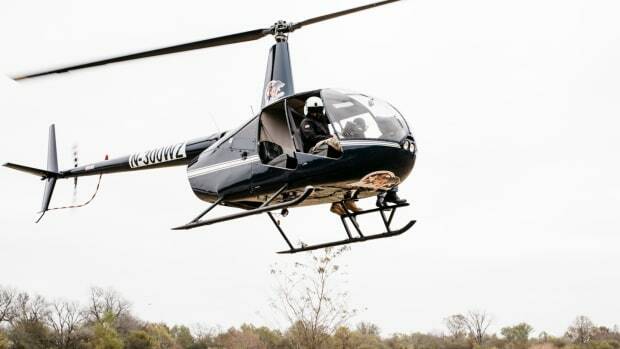 A Texas-style response to the country's feral pig epidemic involves tourists with assault weapons and helicopters. 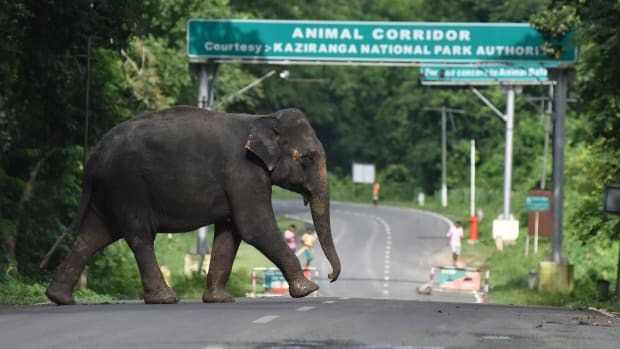 These conflicts are particularly apparent in the Hassan district of Karnataka, the state housing India's largest population of Asian elephants.